Click here to visit the Coupons site and you’ll be able to print a coupon good for $1 off when you buy any 1 Garnier Fructis shampoo, conditioner, or treatment (excluding trial size). You can click the back button to score a second one. 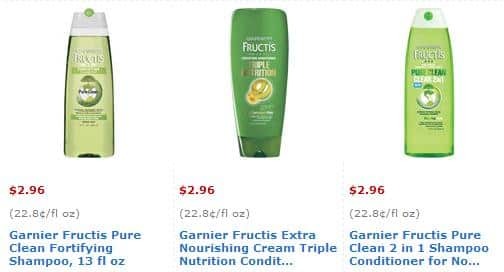 Walmart has several types of Garnier Fructis for $2.96, so $1.96 after coupon.